Ever since Gmail was launched in 2004, we saw a number of updates, but one of the most significant updates was its redesign that created inbox tabs for different types of emails, namely Primary, Social, Promotions, Updates, and Forums. Out of above tabs, the first three are active and the rest two can be enabled manually. Google’s sophisticated algorithm can automatically determine which category the email falls into. Unfortunately, you as a B2B marketer cannot dictate which filter tab your email appears on. Nevertheless, you can ask your recipients to change it on their end by filtering your emails explicitly into Primary tab. Although this update offered ease of viewing messages for Gmail users, it hit hard on B2B marketers as they observed a considerable drop in their email open rates. 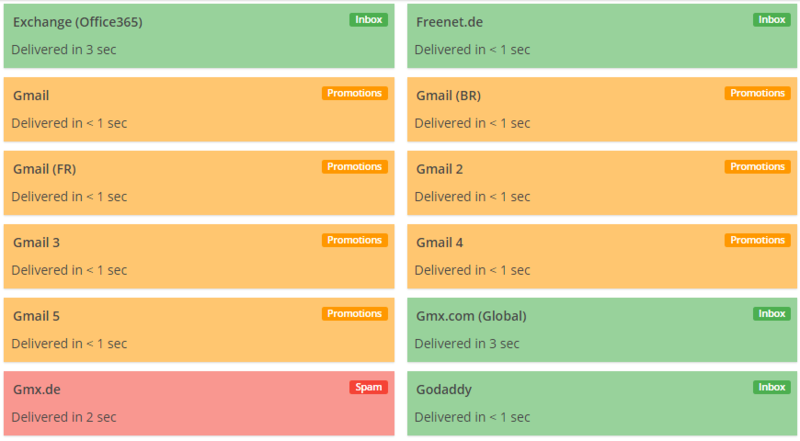 These filters offer a fantastic way to systematize your inbox, no doubt. But if you consider some cases, several messages like newsletters or some vital messages also land in the promotions tab. It is high time for B2B marketers to start paying attention to these filters. After all, it is a waste of time and effort when your messages do not receive the attention they deserve. How does Gmail’s promotion tab matter to you? Return Path, reports that the Promotions tab placement rate is quite high at 84.5% and the read rate is relatively low at 19.2%. It also states that 19.9% of Gmail users never check emails that land in the Promotions tab of their inbox. How to identify which all elements are responsible for categorizing your emails as Promotions? How to change Promotion tab placement of emails to Primary tab? 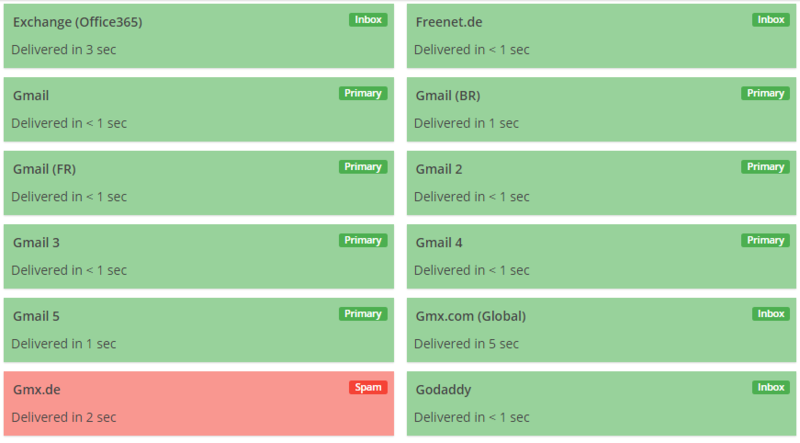 To find an answer to this, here are some experiments that we carried out after checking out some solutions that were available online to finally conclude what exactly makes emails land in the Primary tab. It is easy to trigger Google into placing your emails into tabs other than the Primary tab. We observed that Google seems to be judging our emails based on the number of links, phrases, and image count. So, firstly we included some texts, plenty of links including linked images and few icons which had links to social media profiles. We were sure it would not land in the Primary tab but anyway we decided to start from square one. Undoubtedly it did land in the Promotion tab! In our first experiment, we tried removing the “View in browser” header along with its links, and images with links to social media profiles. 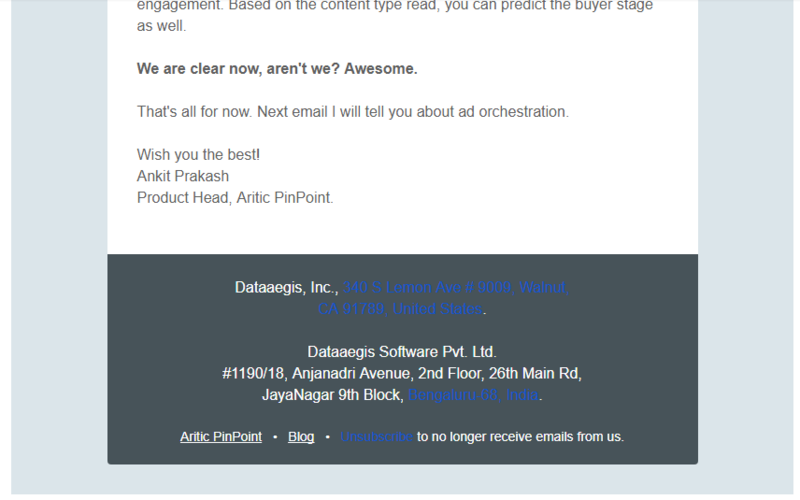 Amusingly we still found that the email landed in Promotions! We decided to stick to emails that looked like mere “plain text.” So assuming that it has something to do with the image-to-text ratio, we redesigned our email by removing our company logo and also the image. Nevertheless, that didn’t change anything, and we didn’t give up! Now we reduced the length of the email’s footer and thought that somehow it would make it sound less Promotional. Yet, we didn’t stop there! We tried to find out the exact reason for being categorized under Promotions tab; we re-added some of the removed elements like for example we added a bigger image. But when we added our logo, we were in trouble again! We comprehended that the image-to-text ratio does matter after all! > Again we tried removing the logo and adding the “View in browser” header with the link. But it was sent to Promotions. > Deleted the link to “view the email in the browser” and left only the plain text. However, our efforts again were in vain. Gmail associates the “View in browser” header with bulk promotional mail Click To Tweet. We noted down few points that are essential for you to remember to increase the chances of your emails being delivered to the Primary tab. Anything more than one image would definitely look like a promotional email, therefore, ensure there is a single image and let the image-to-text-ratio be around 40:60 as fewer texts will make it land in Promotion tab. As I had already said, there shouldn’t be anything more than 2-3 links, but ideally, you should stick to one link. However, do test it and derive your own conclusion. Also, don’t forget to remove the social media icons and links as they lead your emails directly to the Promotion tab. Avoid using Header text like “View in the browser” and footer text like “Unsubscribe from this mailing list” or something that sounds the same, as it sure makes Gmail think that your email should be sent to the promotional tab. Hence go about changing “Unsubscribe from all future mailings” with a straightforward “Unsubscribe”. Firstly, as I have already said, adding too many links will push your emails to Promotions tab. The lesser number of links, the more chances to land in the Primary tab. 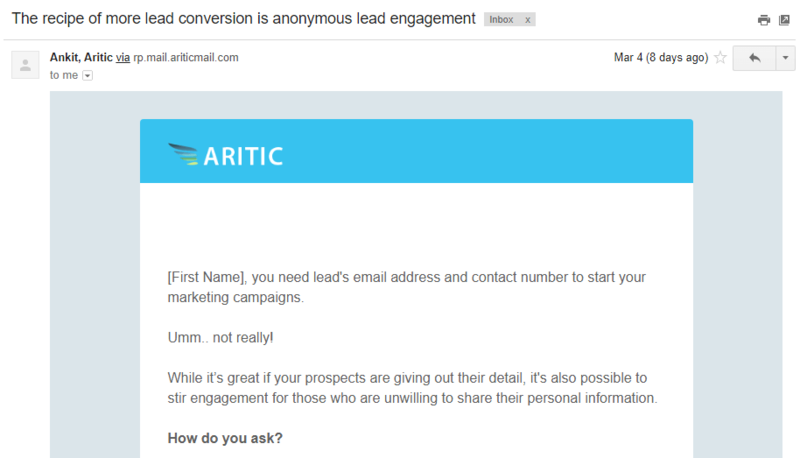 Secondly, when there is a CTA in your email why would you want to redirect them to your Social media pages? Gmail checks personalization of emails, hence, don’t make it look like you are just sending subscriptions to mailing lists. Mention the name of the person and also send relevant emails to your subscriber! It would be better if you avoid fancy and complex email templates, craft your very own custom template that allies with your product. Ensure your template is neat without those unwanted images in the background, complex HTML coding or scripts. Don’t use words or phrases that are excessively promotional. Last but not the least, Gmail also looks at the level of engagement of your recipient besides the content of the email. Your recipients can actually help you get your email out of the Gmail’s Promotions tab, if you practice these simple tips. 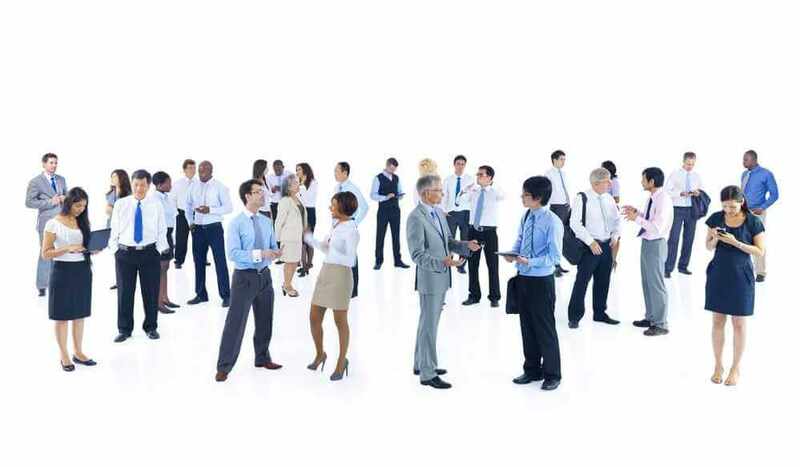 Don’t miss out on any chances of engaging in a conversation with your recipients. Just ask them to share what they think or their thoughts as shown in the below example. Also, you can try asking interesting questions as that will get people to reply to you. As long as you get open, click, and replies Gmail ensures that your emails will go to Primary tab. Avoid sending long emails. Moreover, this just depends on the way you write to your subscribers. It sometimes doesn’t really report that the email is promotional. But if given a choice always prefer sending short and sweet emails. Encourage your new subscribers to “whitelist” your emails by moving your email from Promotions tab to the Primary tab because your recipient’s engagement will tell Gmail that your emails are genuine and are sought after. Gmail will start sending your emails directly to the inbox eventually after observing your recipients actions. However, if your email is purely a Promotional email, I would recommend you to let it stay right there. You wouldn’t want to end up with multiple unsubscribe requests, right? Make your emails more “engaging.” By that I mean a great subject line that merges the benefits with curiosity. This is a perfect way to get people to open your emails. Great content will make your subscribers to spend time reading and scrolling your emails. All these actions boost what the email systems recognize as engagement. Usually, Google notices your heavy HTML codes and sends them directly to Promotions tab. Adapt yourself to something what the most people call “plain text” emails. Although, I wouldn’t call them a plain text as your text and links are still formatted through HTML and CSS elements. But it should be more like natural and only formatting should just be with the text links, so they sound more like everyday email. To get your emails into the Primary inbox, follow some of the advice that I have offered and experiment which one works for you. Firstly, make your emails land into the Primary tab so that as many people as possible will see it initially and open it. Also, keep track of your open and engagement rates as Google keeps changing its algorithms. Secondly, the content that is included in your emails decides whether it goes to Promotions or Primary tab. So bring about the necessary changes and solve your deliverability issues. Lastly, provided that your email is sent only to a confirmed opt-in list and other elements of your sending infrastructure are in order, you will be doing just fine with finding a way out from Gmail’s Promotions tab. All that I can say is find a way that works best for you after considering what I have got to say! Great work! You have mentioned some significant changes which can help a customer resolve many deliverability issues. Thanks for the valuable information. It’s beneficial to me to gain a clear understanding and overview of email marketing strategy. Thank you for sharing this useful information with us. This post gave me a lot of experience and knowledge. Keep it up. I hope to read more posts about the deliverability issues of customers from your blog. Yes, it’s true that you can reach the target audience with the help of strategic marketing communication. Thanks a lot! Ankit! You have mentioned the necessary changes which can help a customer resolve his/her deliverability issues. Hey excellent article Ankit, it was interesting to understand the necessary changes and resolve the deliverability issues of customers. Thanks Aritic team helps us understand the necessary changes and resolve the deliverability issues of customers. As an email marketer, I was initially struggling with it. Your blogs give direction to amateurs. Email is the third most influential source of information for B2B audiences, be. 86% of business professionals prefer to use email when communicating for business purposes, so naturally, email campaigns will grab the eye of important leads.